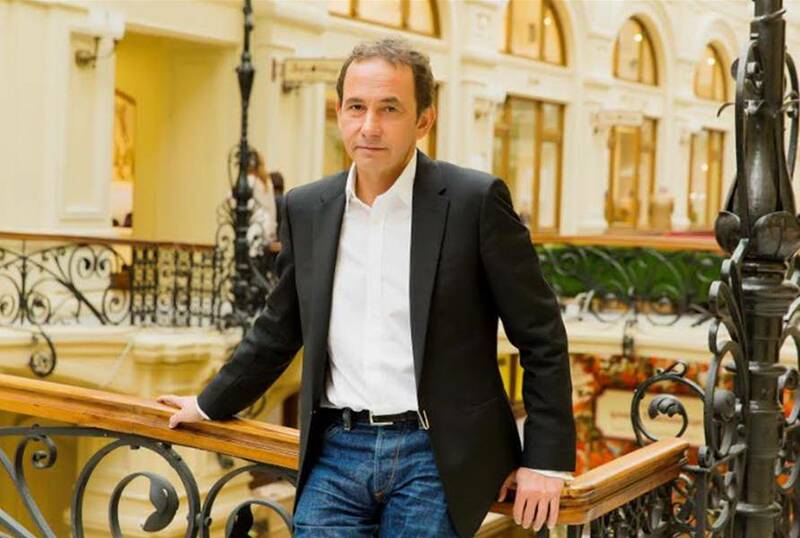 Atelier-Flou, the luxury fragrance brand originating from France, has made its debut into the UAE and GCC market this summer, and I had the pleasure of having a brief chat with the founder of the brand, Jean-François Cabos himself! Atelier-Flou follows the age-old principles of perfumery, using the rarest of natural ingredients. The brand does not follow trends, it does not try to astonish or stand out. Rather, it lives by the principles of subtlety and elegance and prides itself for its unmatched quality. Read on for more on Atelier-Flou from the maker himself. Have you always had a keen sense of smell? What influenced you into becoming a perfumer? Yes, as long as I can remember, I was attracted by all sorts of fragrances. I am not a perfumer as such, I would rather define myself as a creator, a perfume designer. Tell us about the Atelier-Flou brand. What does the name mean? How is it different from other perfume brands? “It’s couture!” – This early compliment paid to the perfume compositions gave rise to the name Atelier-Flou. The term ‘couture flou’ is suggestive of carefully handcrafted work, artistic craftsmanship, diaphanous textures and free-flowing cuts. This draping technique does not aim at molding fashion to a specific body shape but rather at unfolding an entire universe around a silhouette. A dress with a flou cut is worn like an aura. Just like le flou in paintings which expresses intensity and depth, the flou technique in couture brings to light the possibilities of form in the delineation of form. Flou creation is a magical process as it uses raw materials to take them to new heights. Haute parfumerie is a noble centuries-old craft, the great tradition of which is perpetuated by Maison Atelier-Flou. The master perfumers of Atelier-Flou meticulously choose the rarest natural essences, blending them patiently with unique know-how based on experience, passion and a few well-kept secrets, until the desired composition takes shape. When it comes to premium perfumes, the French seem to take the crown. Why so? Indeed, this is a century-old tradition in France. Does perfumery and fashion go hand in hand? What is the link? Both take their origin in the creation process but fashion is more about trends, whilst fragrances are more about emotions. Please give us an insight into the process of creating a scent. The only thing I can tell you is that creating one fragrance (from the very start to the actual product) takes between 2 to 4 years. 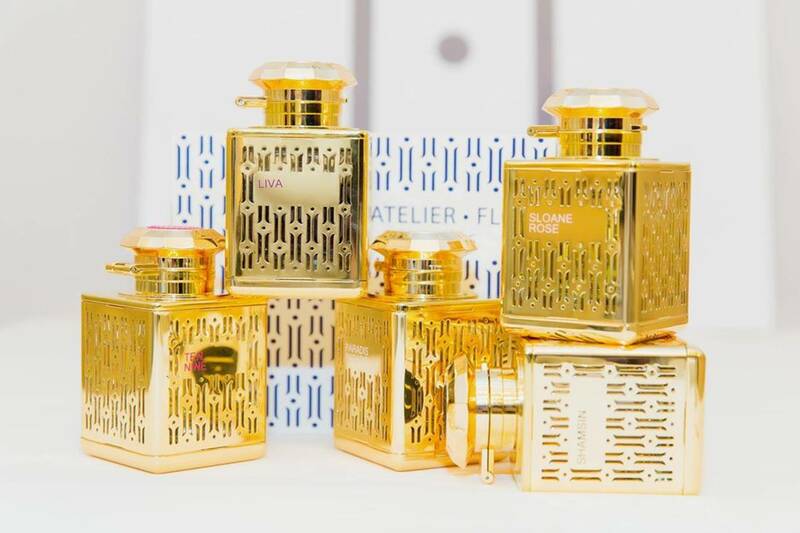 What are the newest scents from Atelier-Flou? Amarcord for men : Fellini’s 1973 film Amarcord (which translates to ‘I Remember’) was, amongst other things, about the waysour memories- part factual, part emotional- create a second reality that looms larger than the actual events of the past themselves. Atelier Flou’s Amarcord explores that same space, delivering a disarmingly subtle incense scent with a spicy complexity of unexpected impact. Lush lily-of-the-valley and cool iris notes blend with smooth, soft incense to create a nostalgic vibe almost wholly untethered from any specific memory- it feels incredibly comforting without any of the typical gourmand/musk “comfort notes.” By the time the spicy base emerges to the fore, you’ll swear that Amarcord was the exact scent of your happiest childhood memories. It’s a trick Fellini would be proud of. Has the brand thought of creating something uniquely special for the UAE market? Not really. In fact, people in the UAE are such connoisseurs that there is no need to cater for this country as such. Atelier Flou fragrances are universal yet unique. What are your future plans for the Atelier-Flou brand? We are continuously thriving to develop new fragrances. Lastly, what scent do you wear on a daily basis, and why? I must say I wear them all, well, almost ! Atelier-Flou is now available exclusively at Paris Gallery for 975 AED. Katana: This perfume blends Cypress, Juniper, Cardamom, Coriander and Patchouli into a masculine fragrance that fits every occasion. Black Purple: This intense scent is a mix of Fresh fern, Rosemary, Liatrix, Nutmeg, Amber and Vetiver. 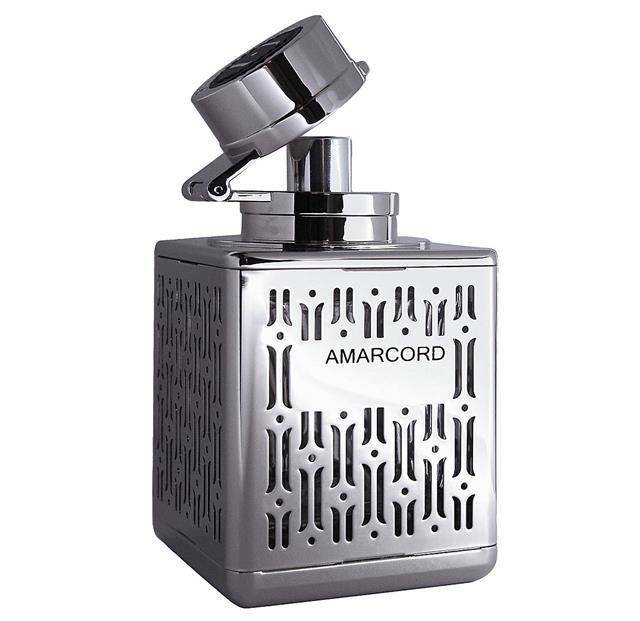 Amarcord: A subtle and spicy scent, Amarcord blends lush lily-of-the-valley and cool iris notes with smooth, soft incense that brings back memories of the happiest childhood. Shamsin: A fragrance that is as gentle as a kiss on the hand, Shamsin boasts of notes of Jasmine, narcissus, rose, iris, cistus absolute, incense, cedar, patchouli and vanilla. Liva: Liva is a spicy, lightly fruity, subtly daring perfume with a burst of juicy mandarin and bergamot cut with a lightly spiced, vegetal presence that sets the stage for a spicy heart of cinnamon, ginger and pepper. Sloane Rose: This lady-like scent blends Jasmine, violet, orange, rose, cedar and amber. Posted in Beauty Insiders, People, Product Reviews and tagged Atelier-Flou, dubai, france, french, French Perfume, Interviews, Luury, People, perfume, perfumer, UAE. Bookmark the permalink.